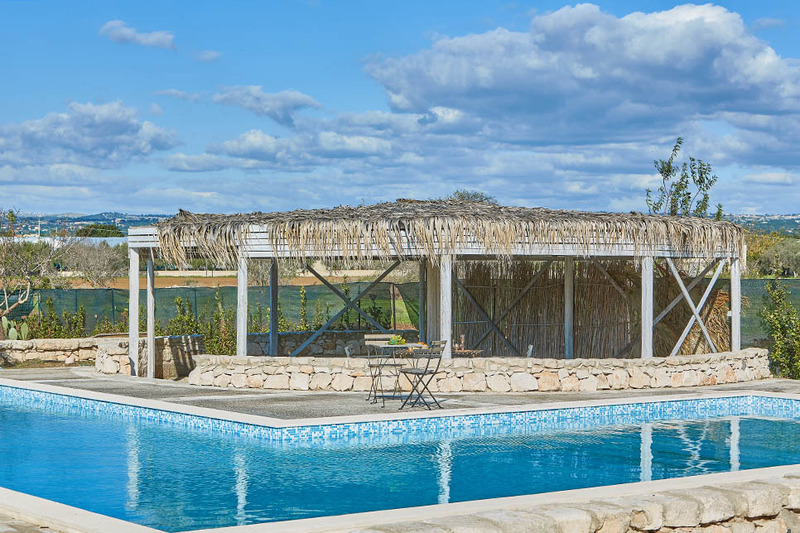 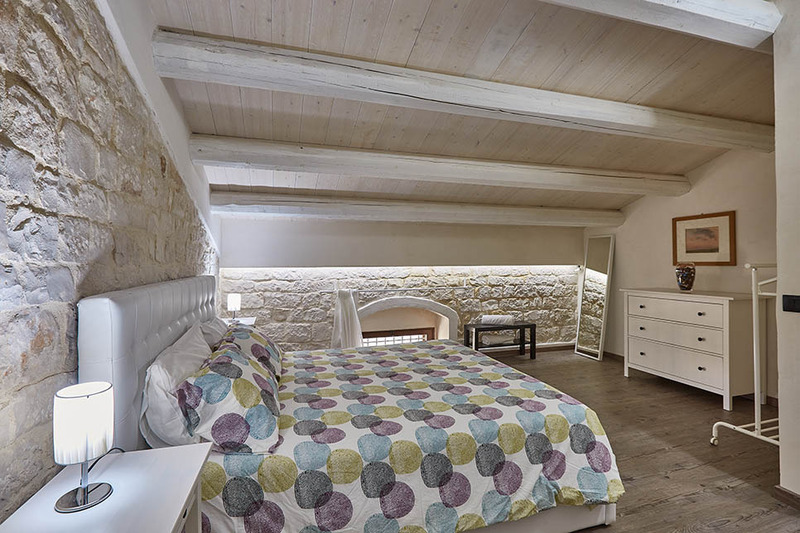 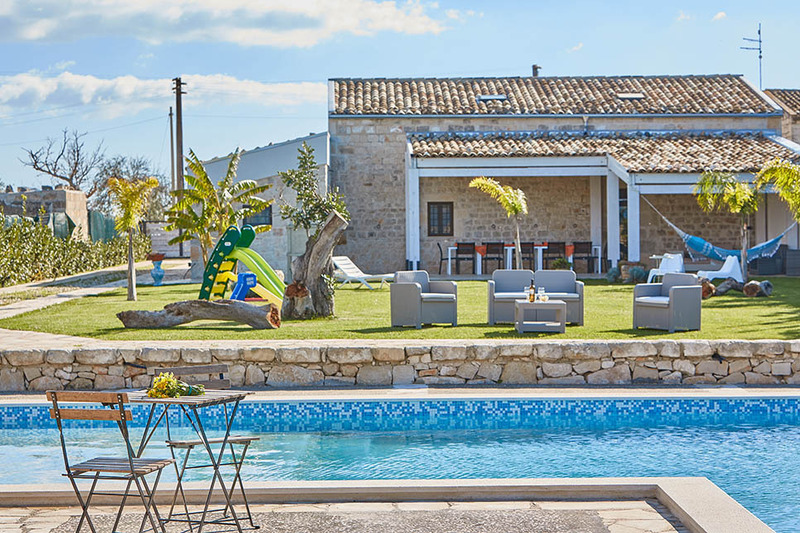 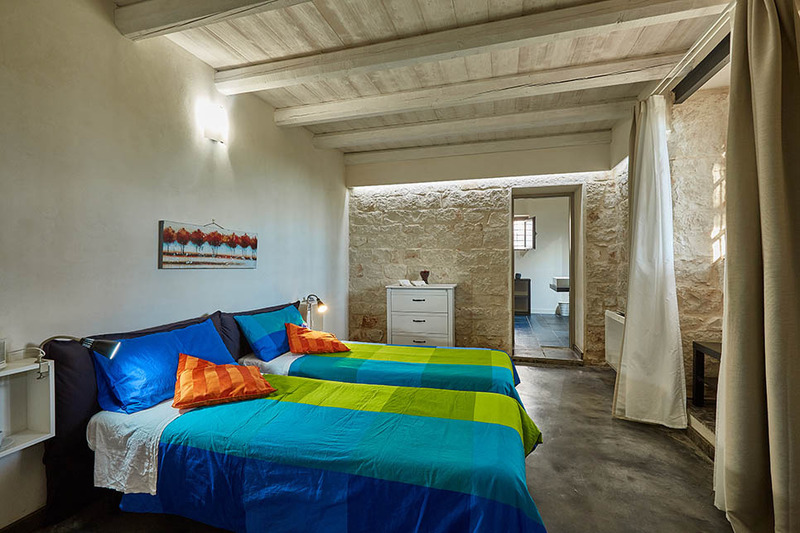 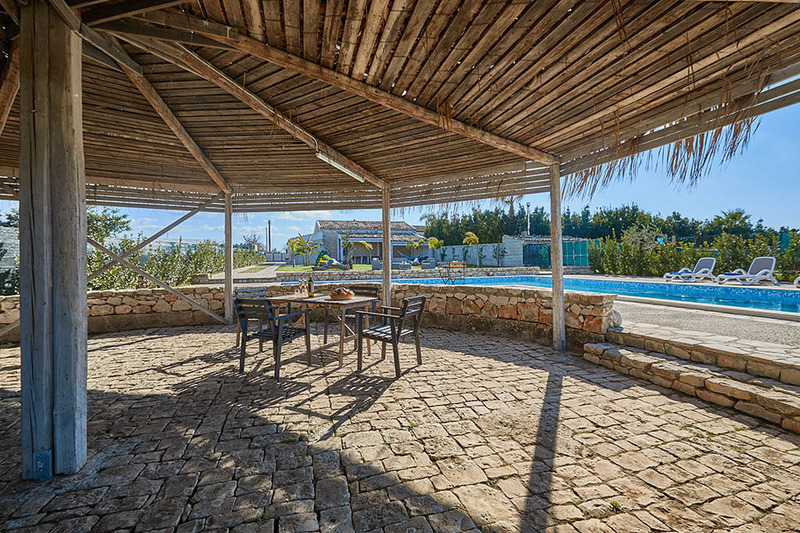 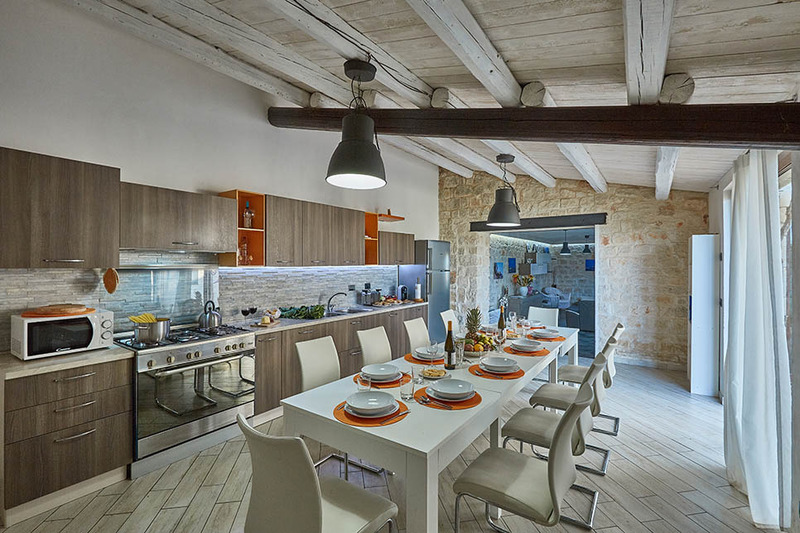 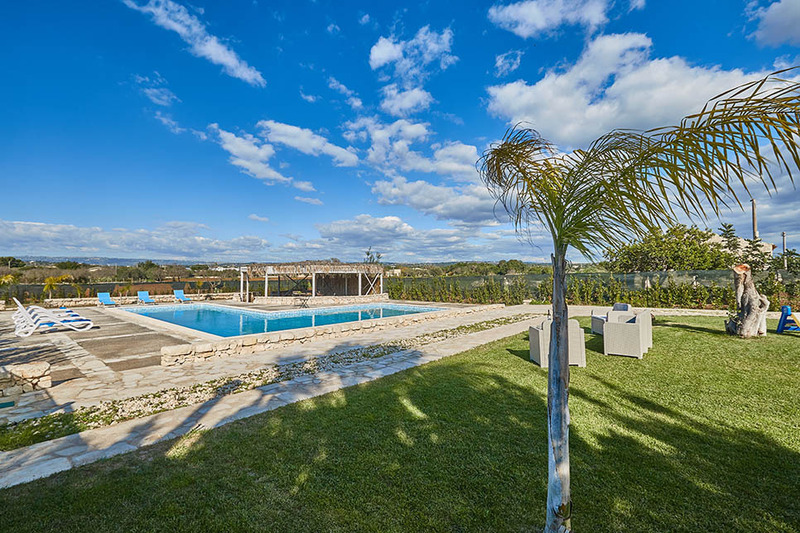 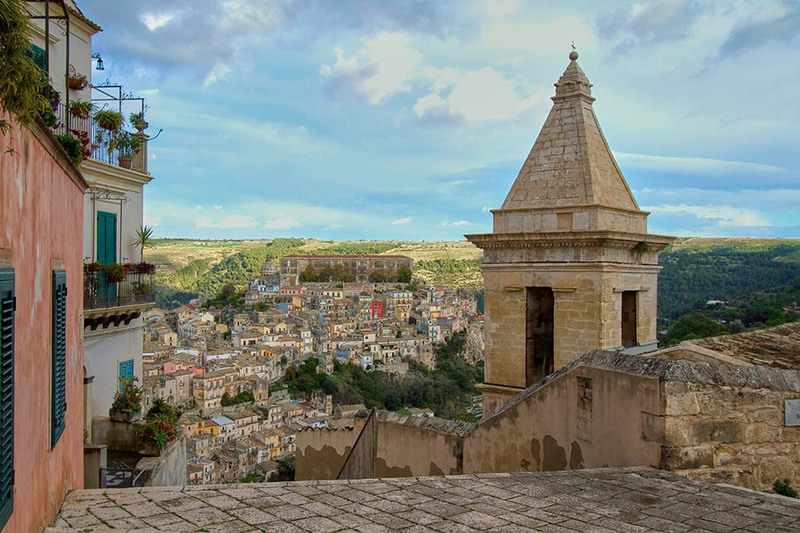 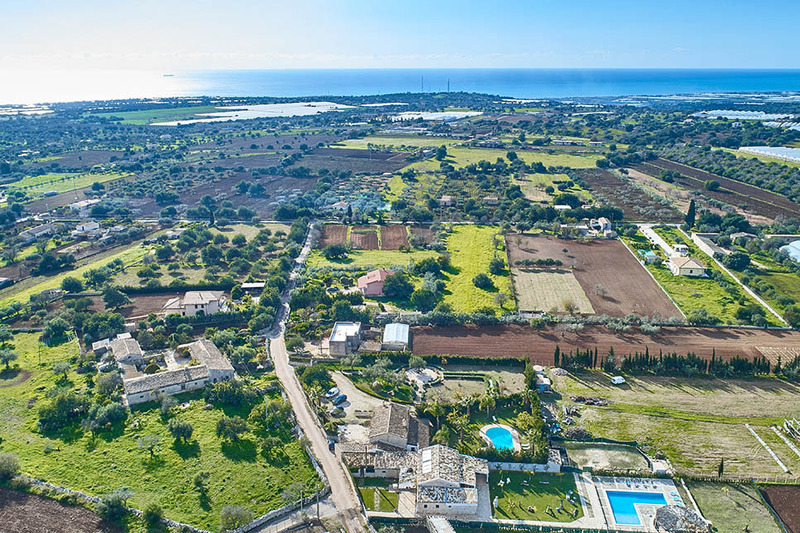 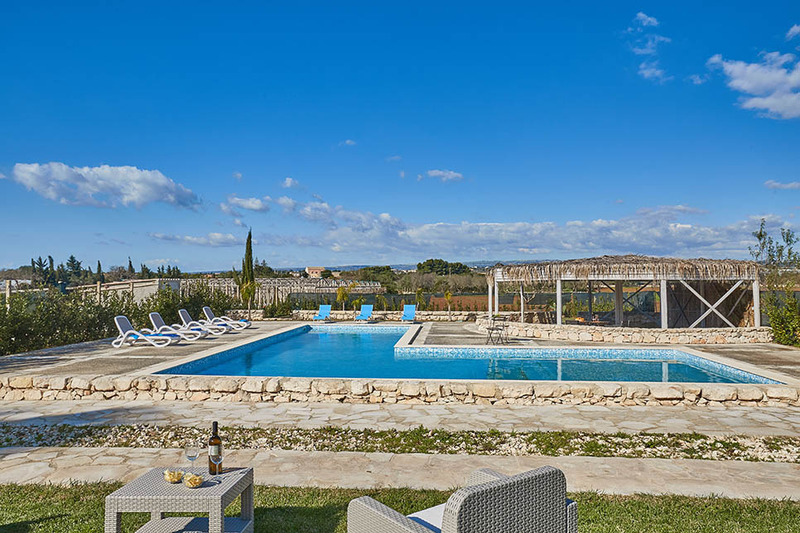 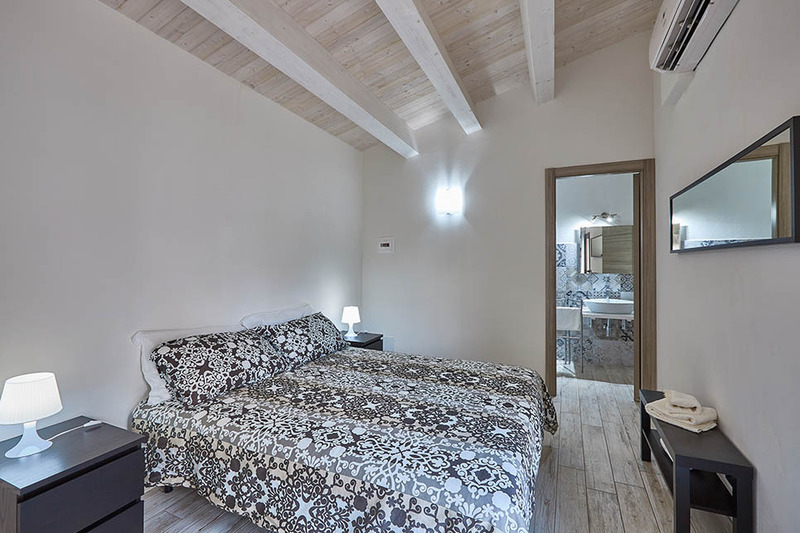 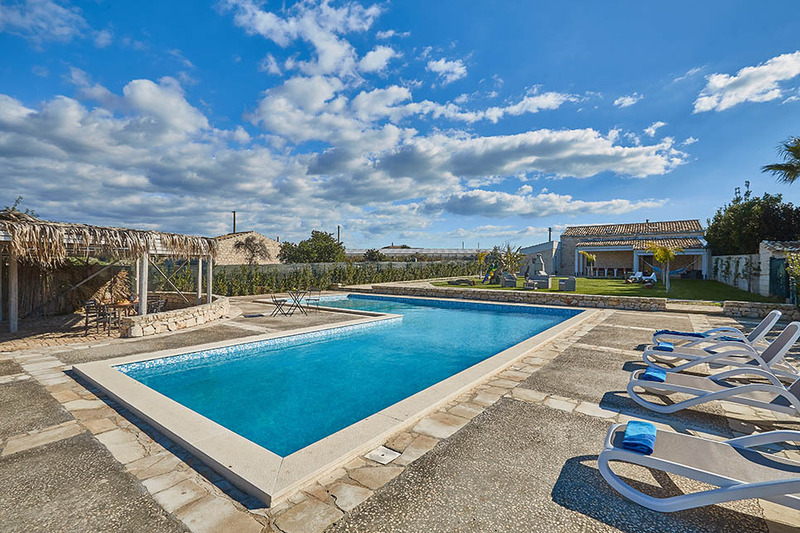 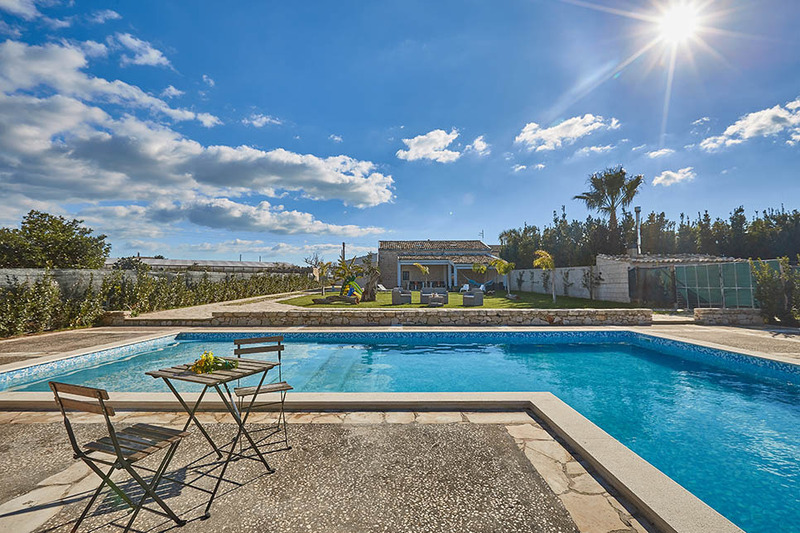 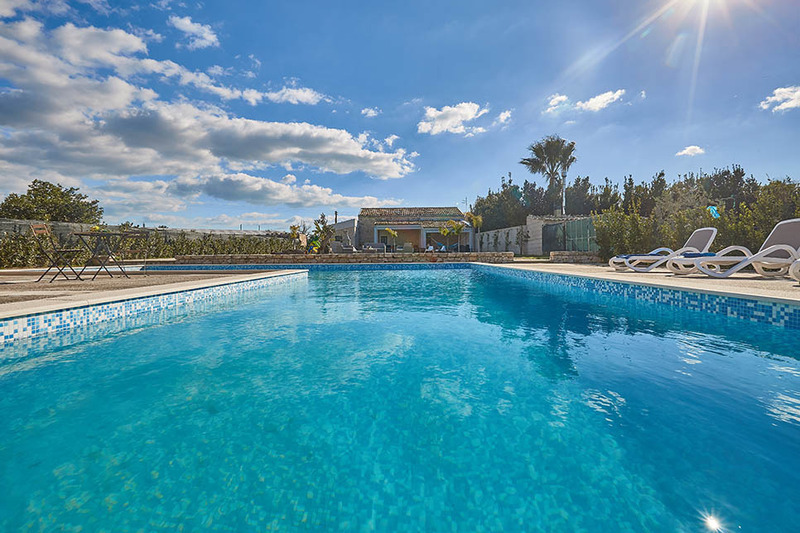 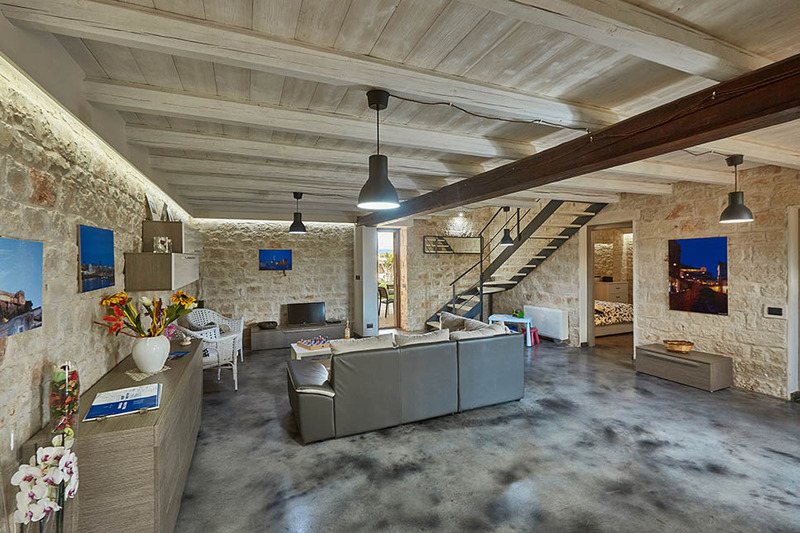 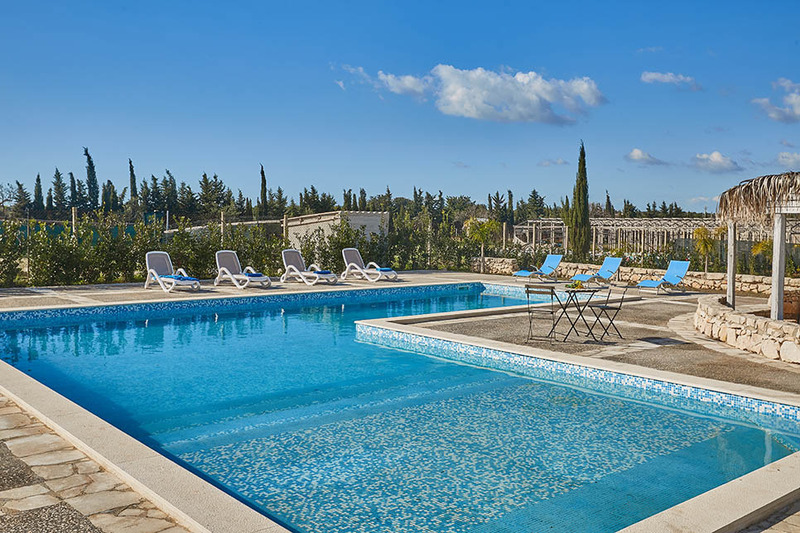 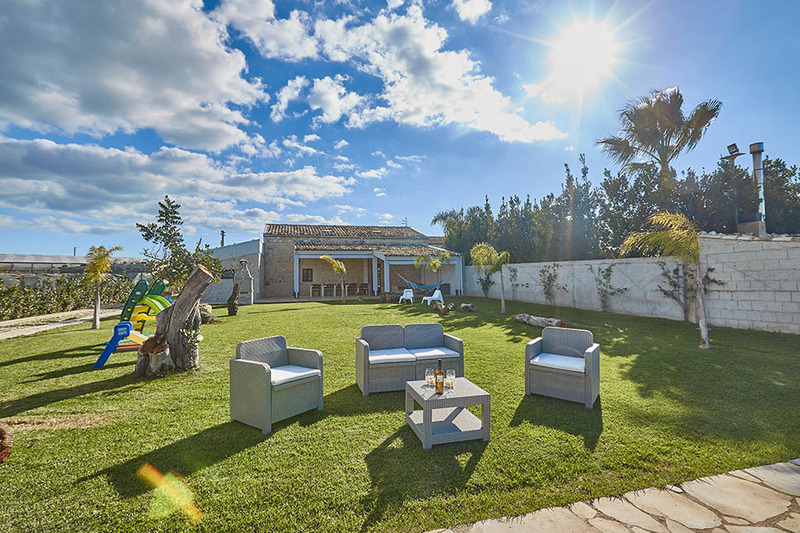 Villa Antica Aia Relax is a contemporary villa with large pool and garden, recently refurbished and conveniently situated between the coast and the UNESCO world heritage towns of south east Sicily. 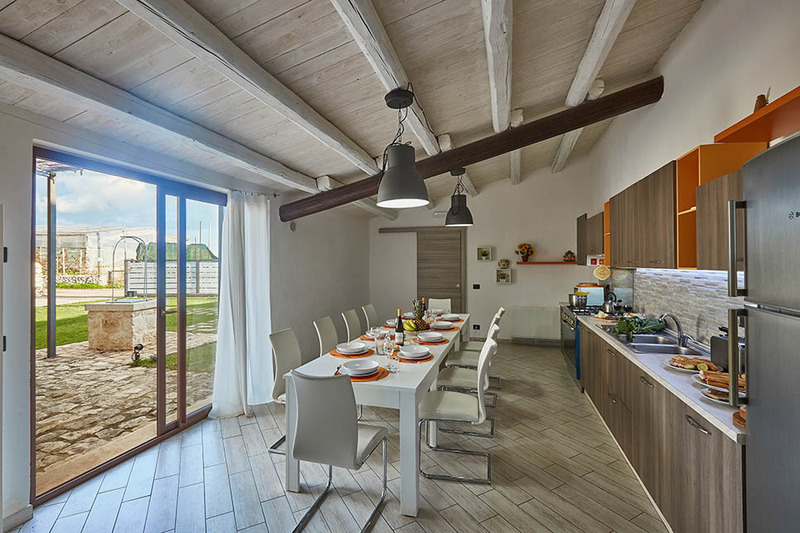 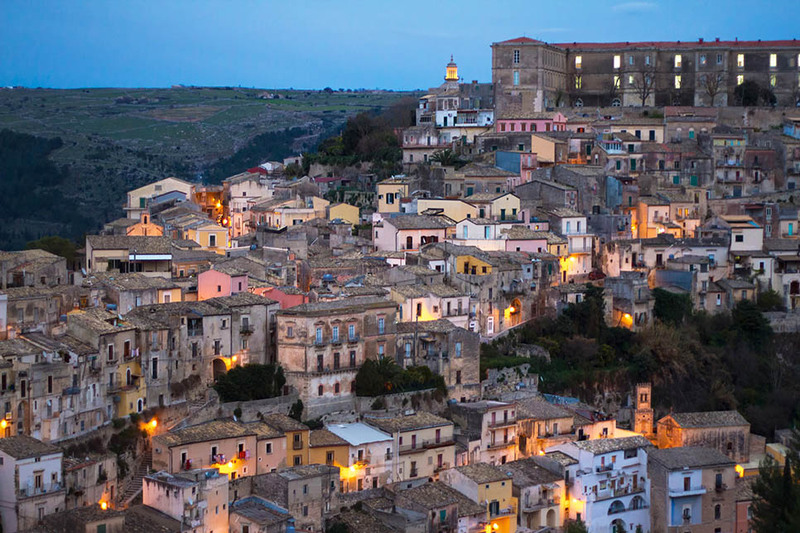 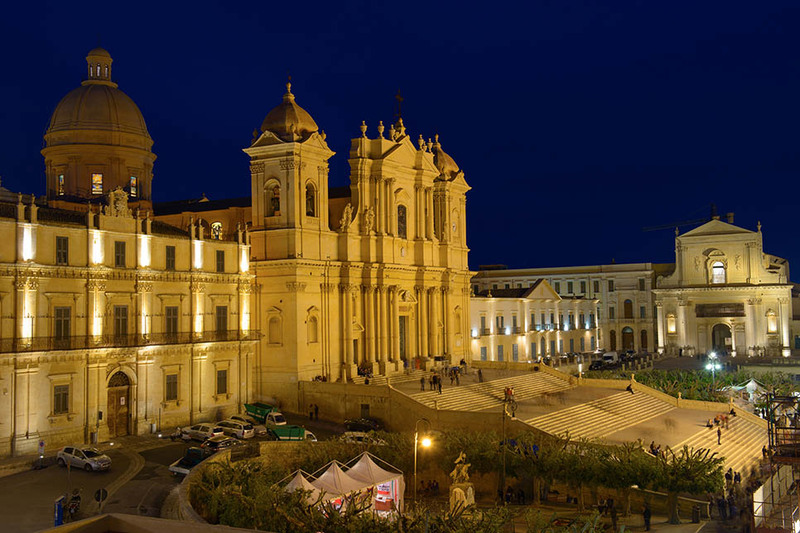 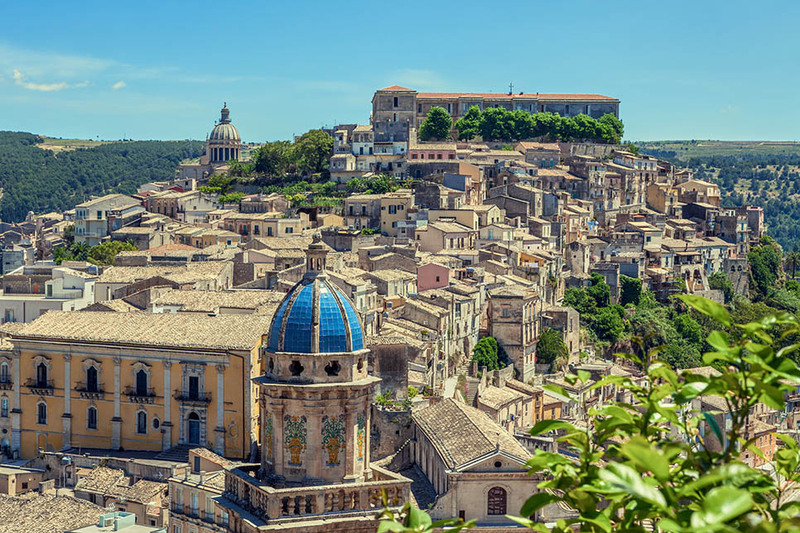 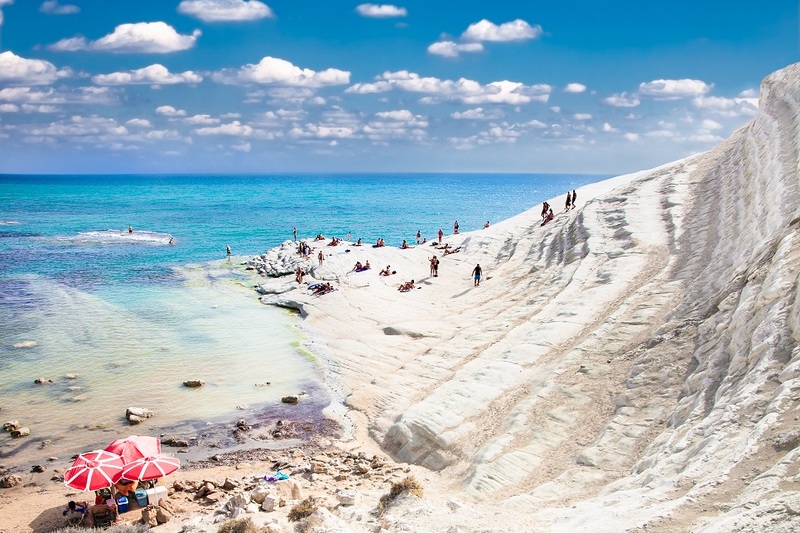 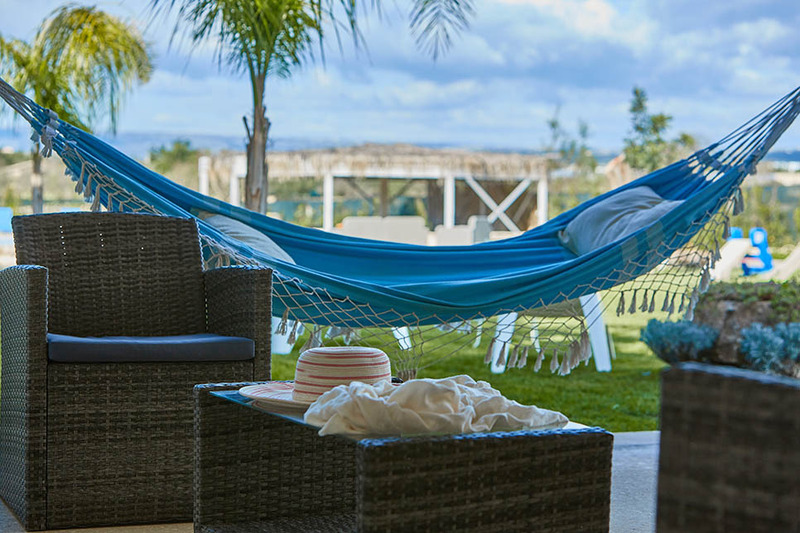 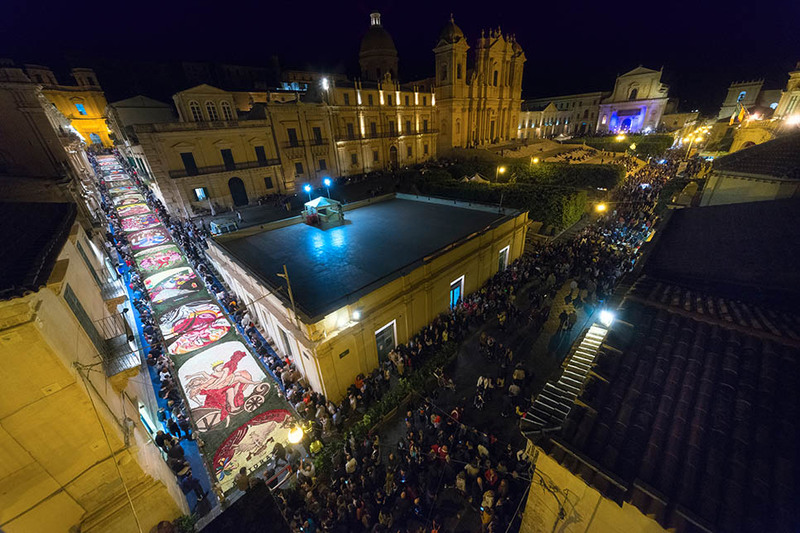 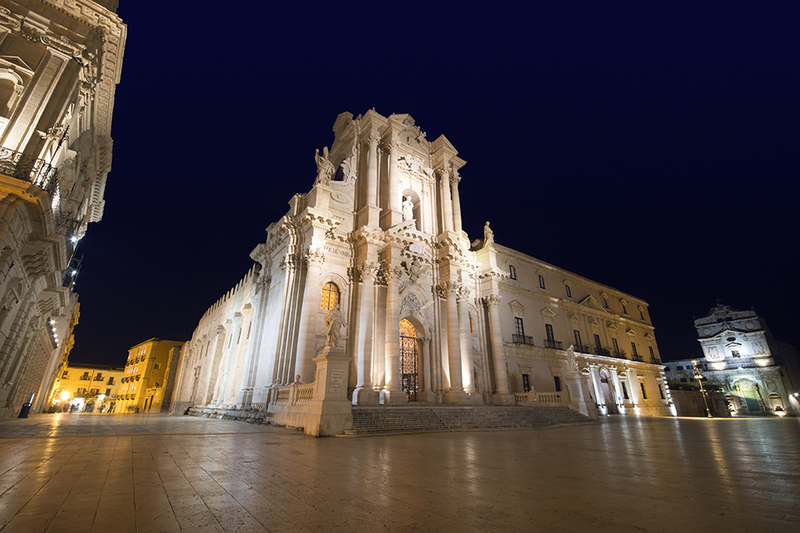 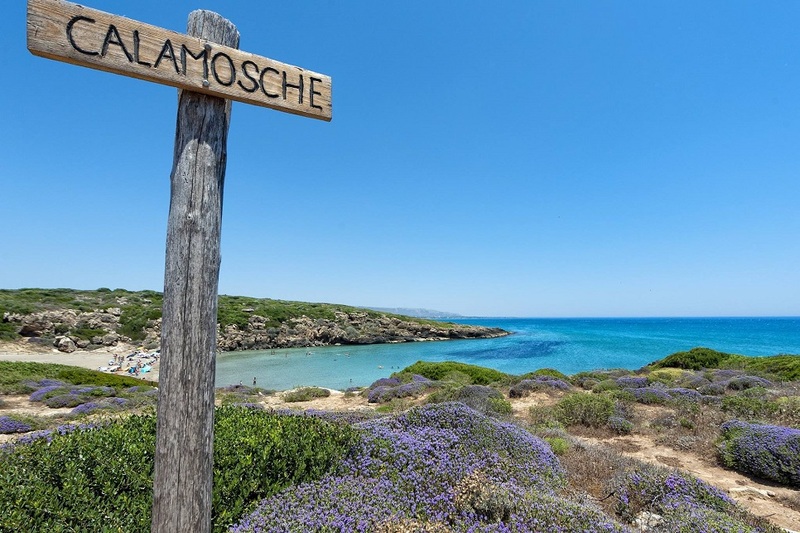 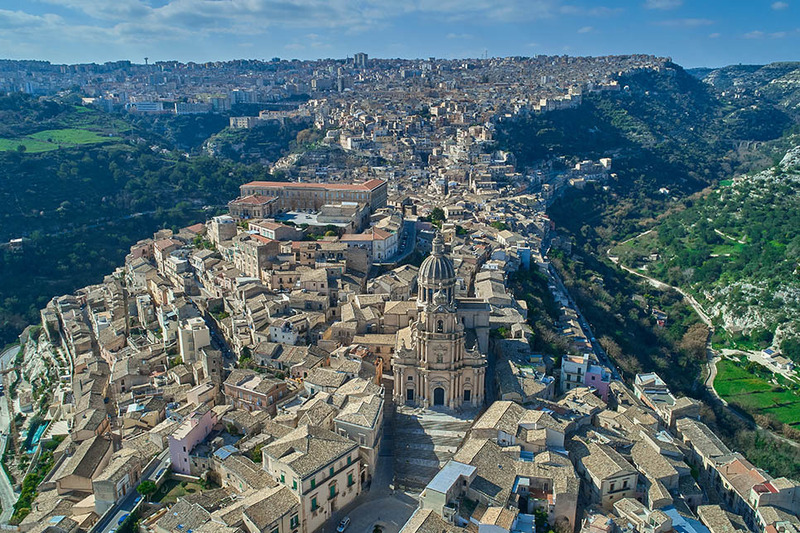 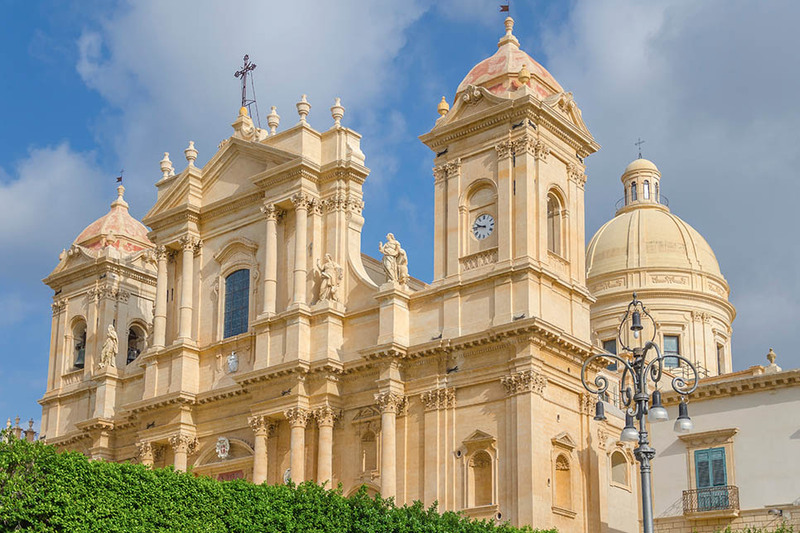 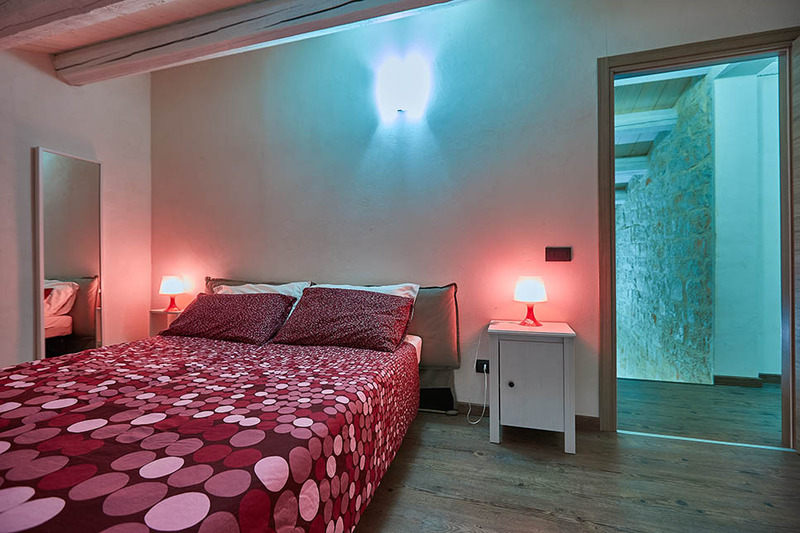 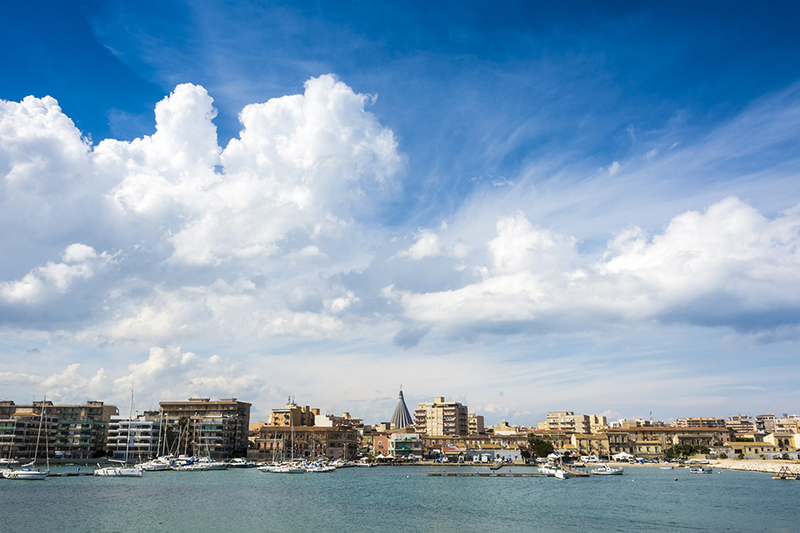 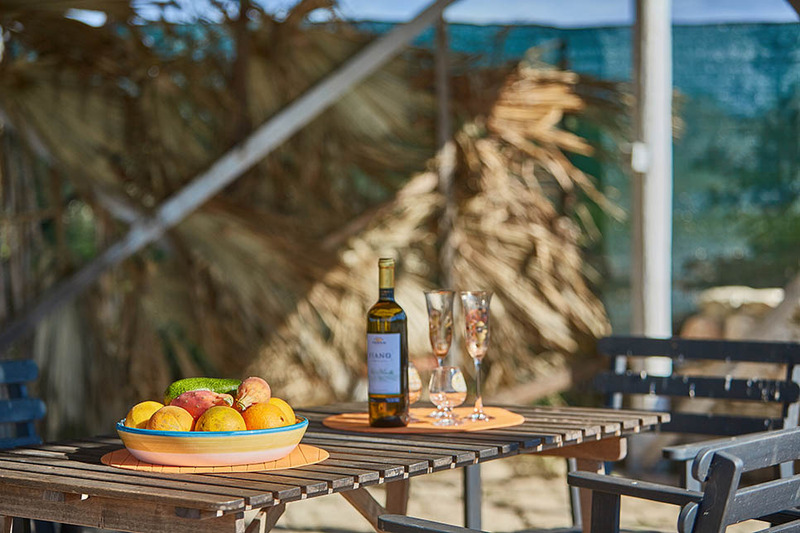 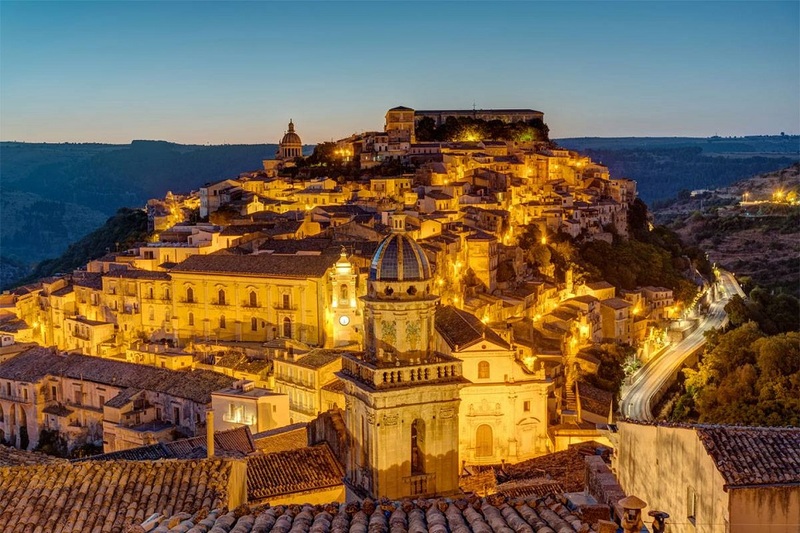 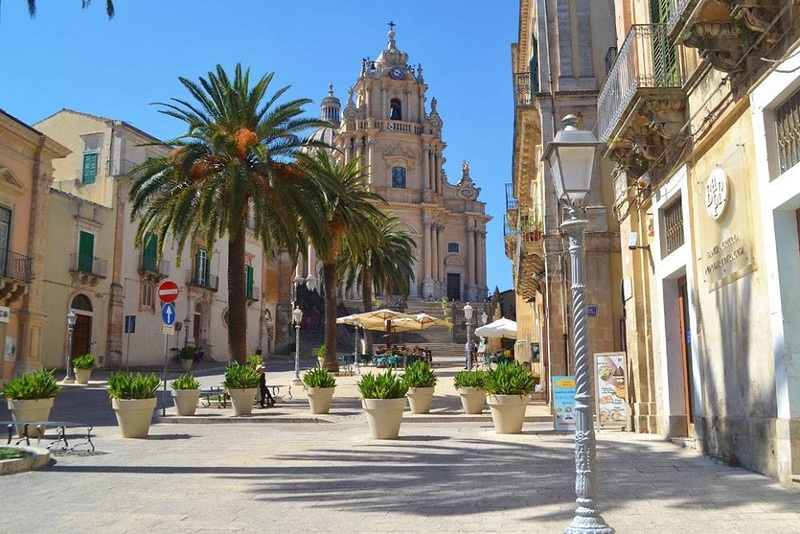 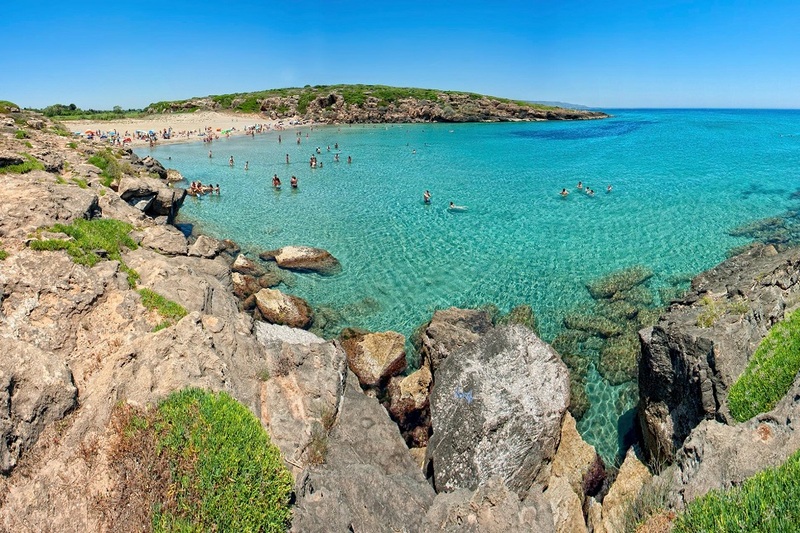 Ideal for several families or large groups, choose between spending lazy days on the golden sand beaches around Sampieri, Pozzallo and Punta Secca, pottering round fishing villages or exploring the baroque gems of Scicli and Modica. 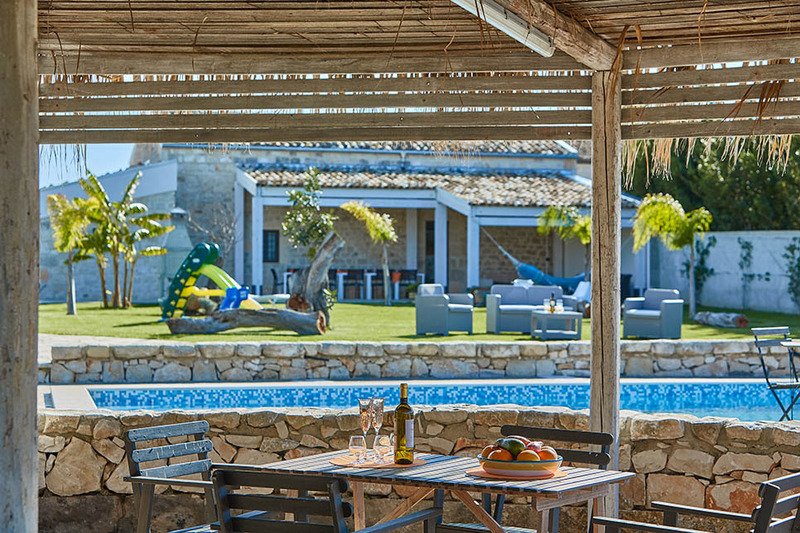 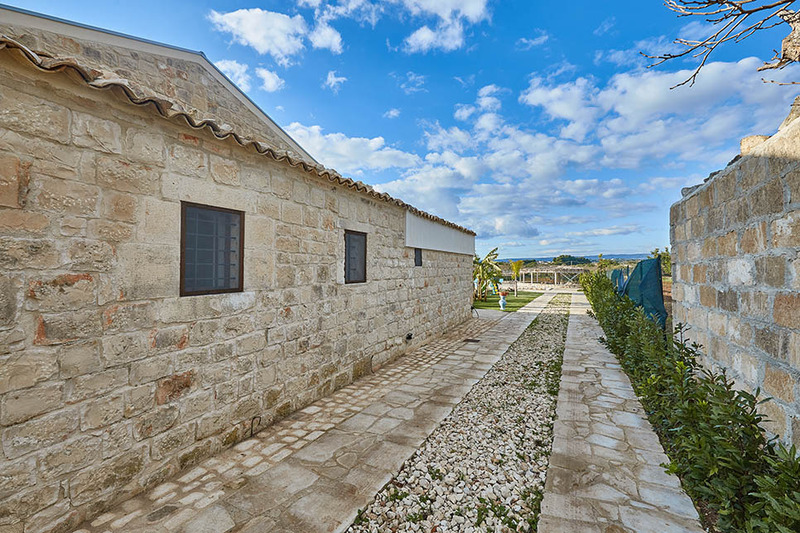 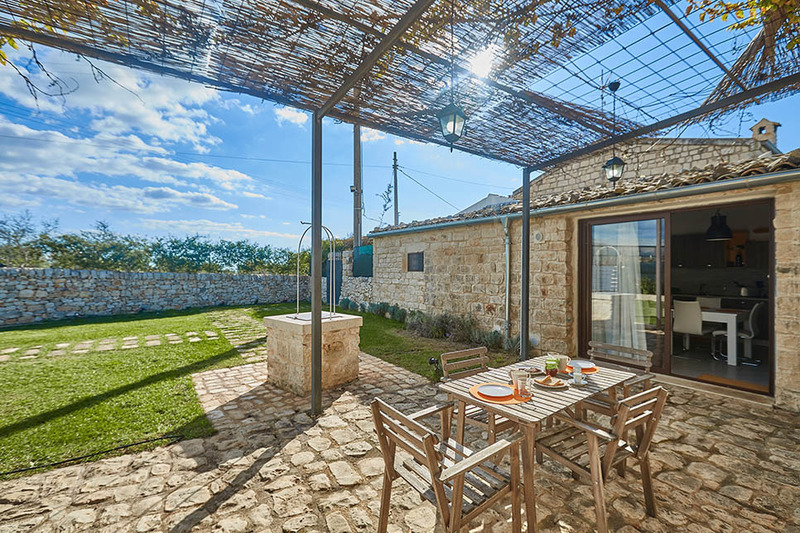 The exterior of the villa provides plenty of space for children to play and adults to sit round chatting and sunbathing. 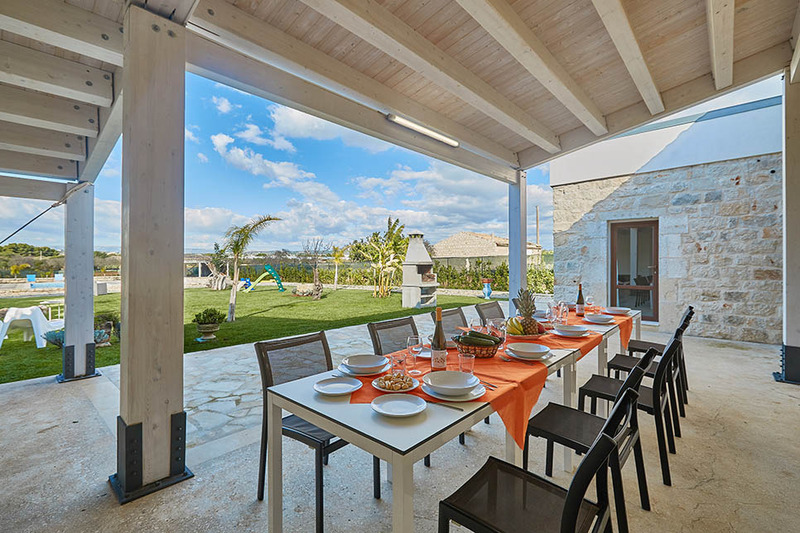 A large covered terrace is kitted out for al fresco dining, with views beyond the lawn to a delightful L-shaped pool. 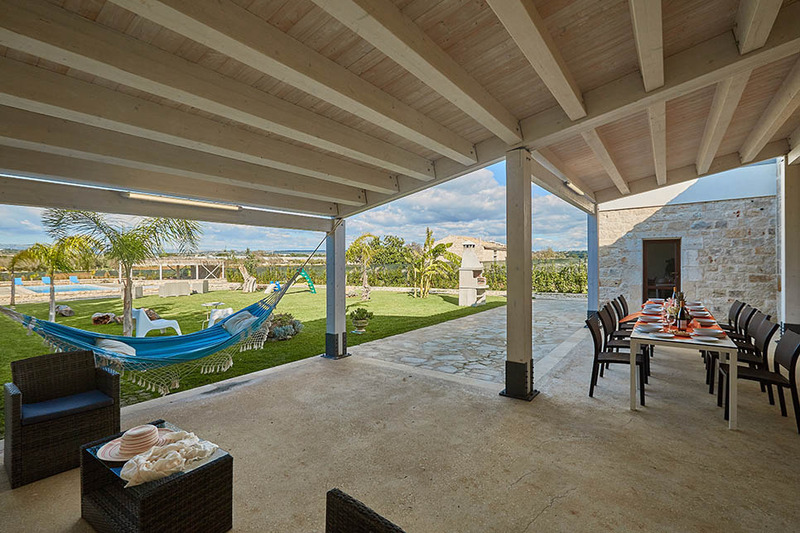 Lounge-style deckchairs on the lawn, sun-bathing terraces around the pool and a spacious shaded poolside pergola provide additional relaxation areas. 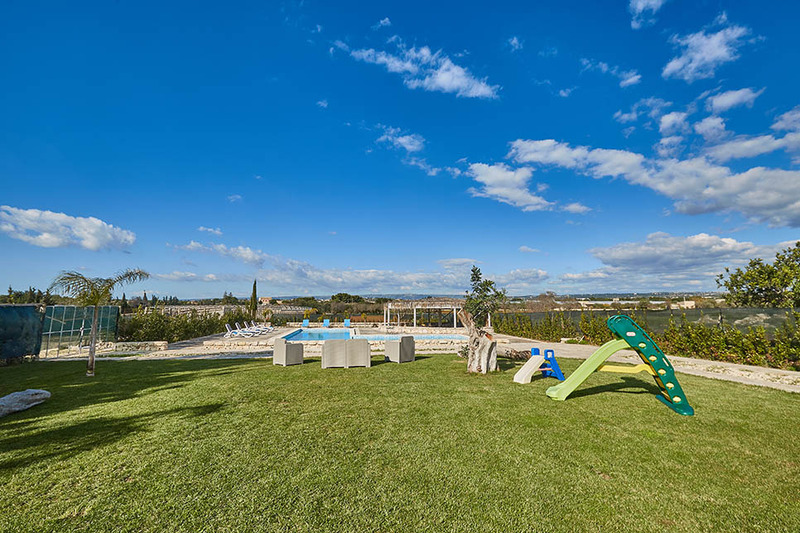 For families with toddlers and young children, there are several small slides on the lawn. 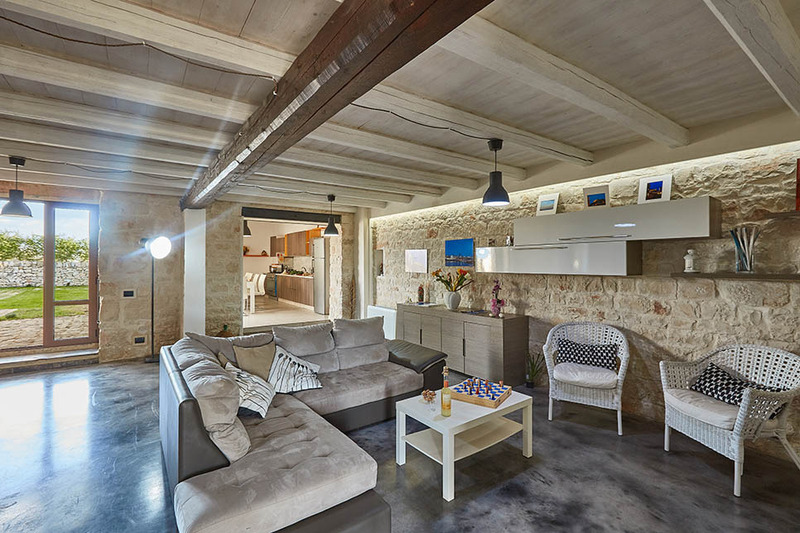 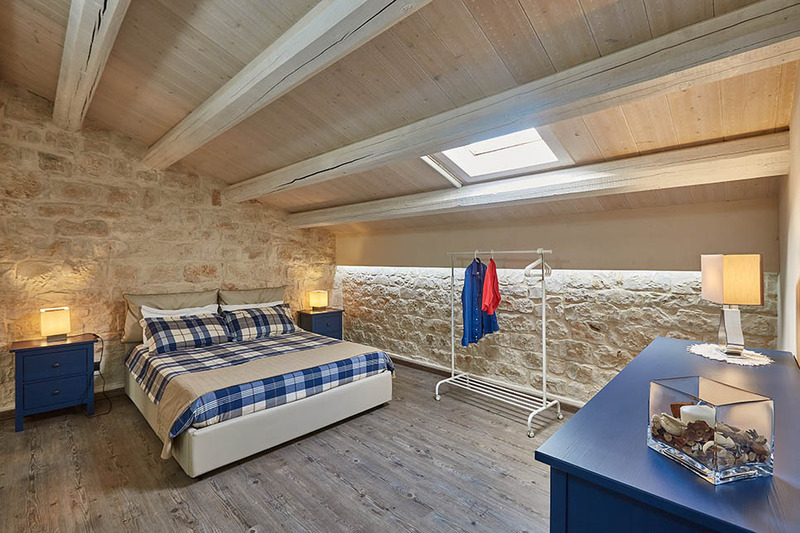 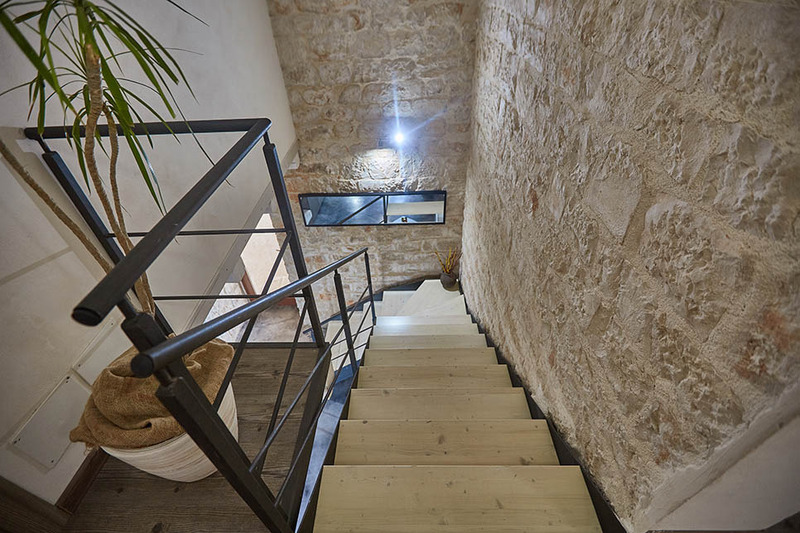 The interiors are elegant and modern, with bare stone walls, beamed ceilings and most fabrics and furniture in neutral shades. 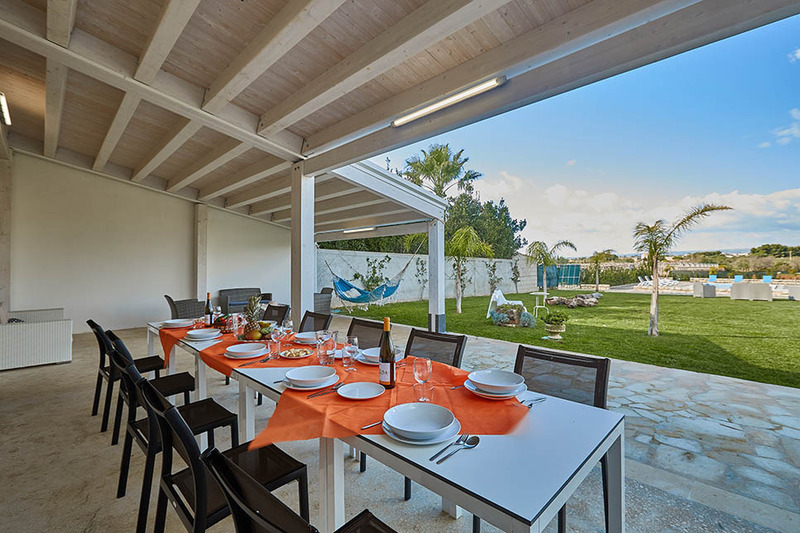 The terrace leads directly into the sizeable living room and, via floor to ceiling sliding doors, a well-equipped kitchen with a large dining table. 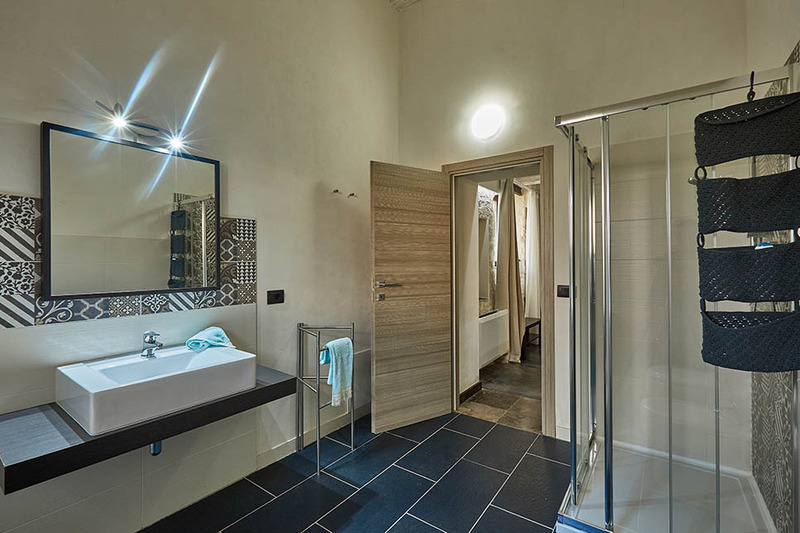 There are six en-suite bedrooms, providing space for up to 14 people. 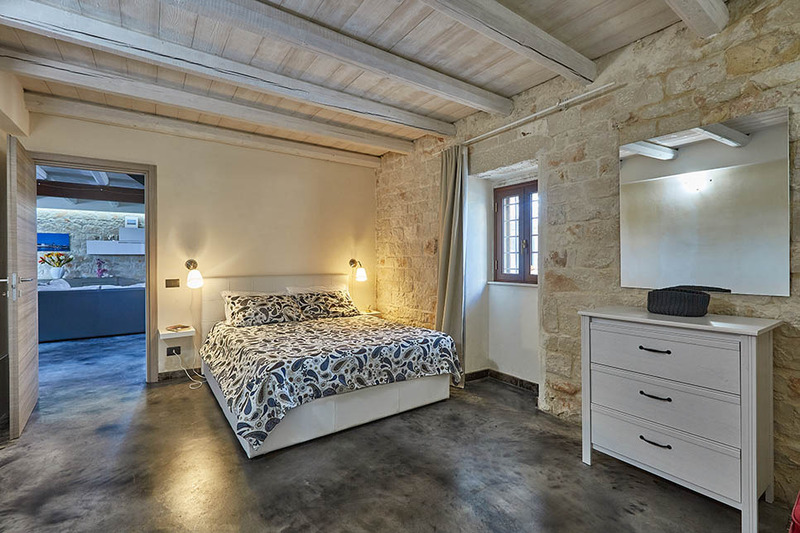 Three of the bedrooms are on the ground floor, alongside the living room and kitchen, and three on the first floor. 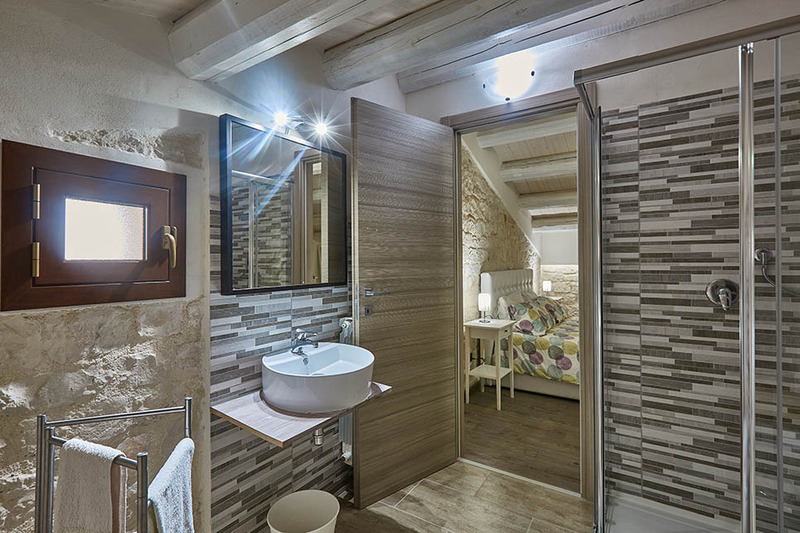 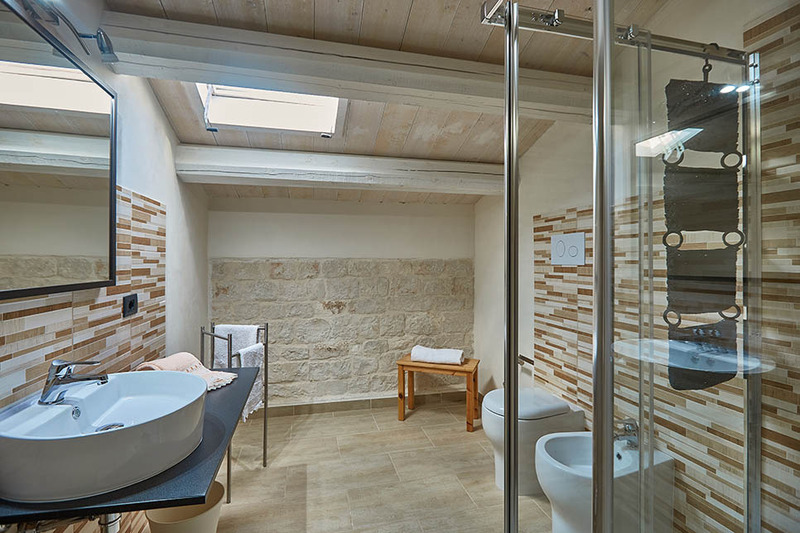 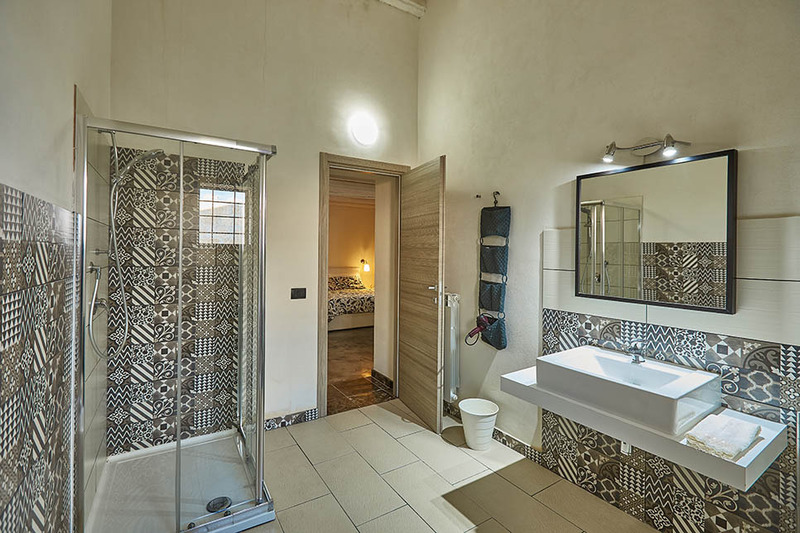 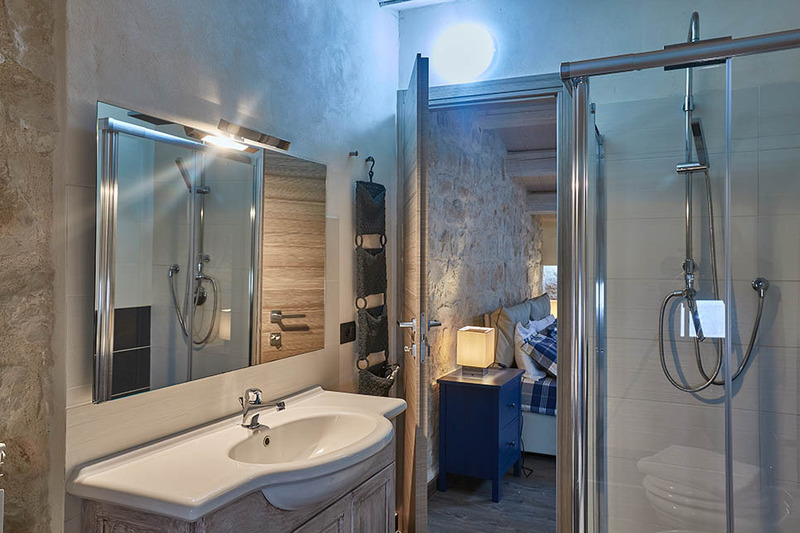 Each of the bathrooms are beautifully tiled and furnished with modern fittings. 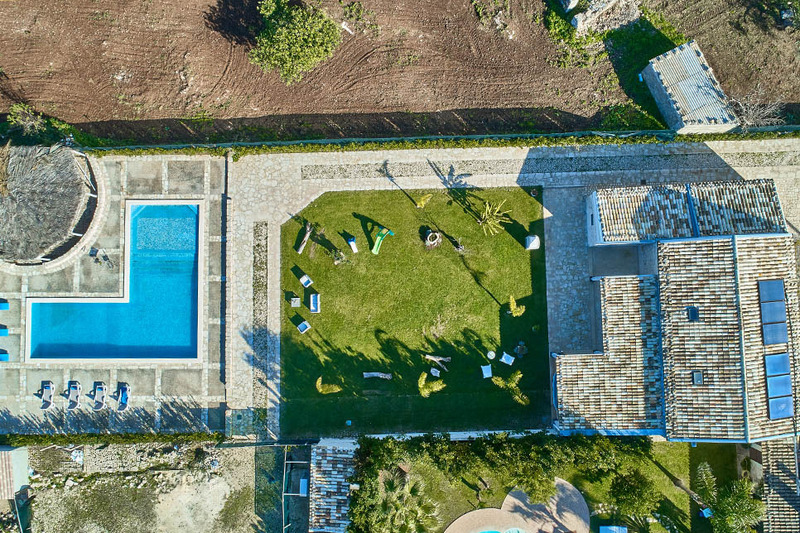 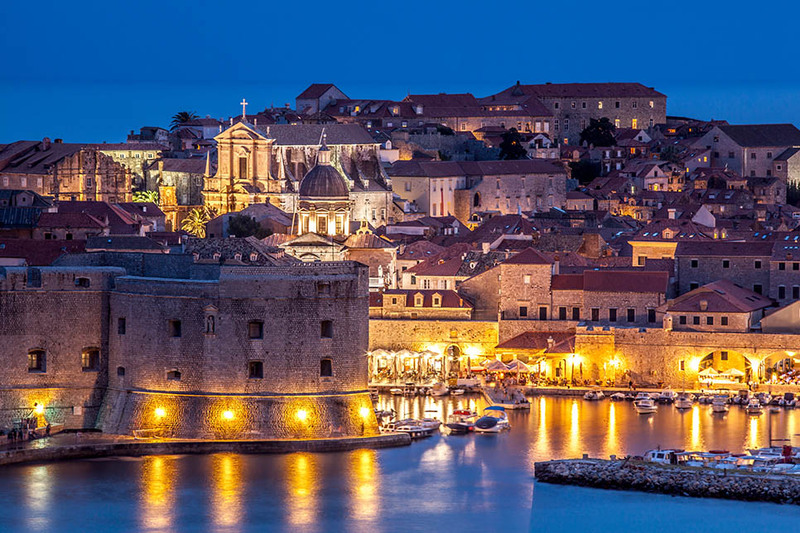 Euro 20 per person for group above 8 people.